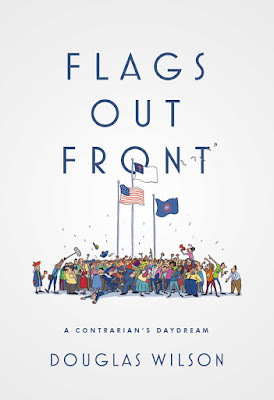 In Flags out Front, Douglas Wilson has crafted something that is as inspirational as it is fictional. What if a Christian public figure took a stand on principle and, no matter what pressure came, just would not back down? What might happen if, instead of wilting under that pressure, or trying to avoid it, a Christian leader embraced it, and fought back fearlessly? arrives on campus one day to find a prankster has swapped a couple of the flags at the campus entrance. Now instead of the American flag flying above all, there is the Christian flag waving from on high, with the Stars and Stripes just below. Collins doesn't know quite what to think. But, upon reflection, he concludes the change is a good one and leaves it. Then the phone calls start coming. He gets calls from conservative, patriotic sorts, wondering why the American flag is not in its central place. And he hears from the other side too, from those who'd be happy enough to burn the flag, but don't want to see it waving below a Christian flag. Protests to the right, threats from the left, and Collins quietly stand his ground. He's willing to do it, even if it means standing alone...but alone is one thing he's not going to be. Quiet, meek, Dr. Collins, becomes the rally point for Christians of all sorts...including some clever college students who know how to make some noise. This is how is should be, and, maybe could be. Who knows what God would do with a fearless few? Actually, we already know: this year we're celebrating the 500th anniversary of the firestorm God started with one monk and his mallet. 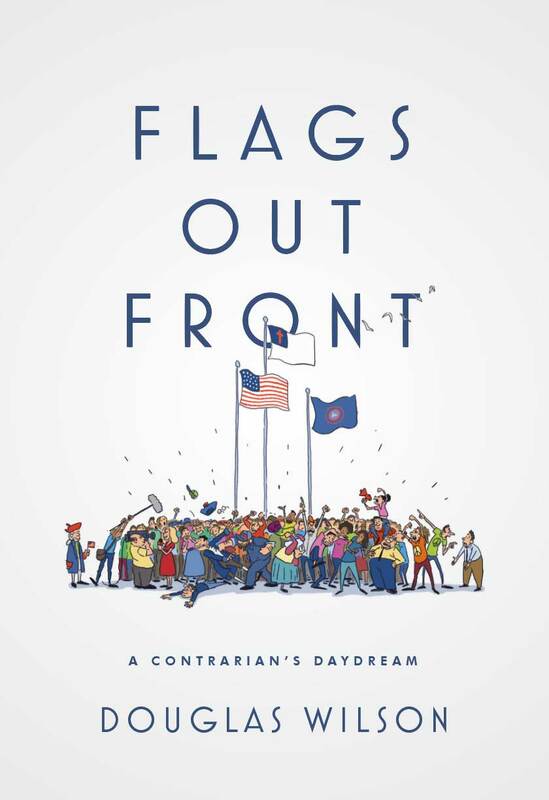 Flags out Front is a funny, clever, comedic novel that most anyone would enjoy, particularly if they have an interest in politics. I've foisted this off on a number of friends and family (and read about half of it out loud to my wife) and the response has been enthused all around. You can pick up Flags out Front at Amazon.com here and Amazon.ca here.